When Americans lose their job because it goes overseas due to trade deals, the victims can receive Trade Adjustment Assistance, a program that is supposed to help young and old find new jobs. Nice work if you can get it. Some Democrat lawmakers and virtually all Repubs have praised this billion dollar effort since NAFTA began moving work to Mexico. In 2008, Kara M. Reynolds of American University conducted a study that clearly showed workers who receive trade assistance did no better than regular laid off workers. Also, her study found that workers laid off from trade deals like the TPP on average make 30% less at their new jobs. Many of the jobs eliminated were union. Most replacement jobs are not. Surprise: trade agreements eliminate union jobs and allow more negotiating power to owners of capital versus workers. That affects not just the displaced employee, but by increasing the unemployed, lowers wages for many industries overall. The genius class in Washington has a solution to objections to the TPP – continue TAA and that will solve all the problems of job loses. 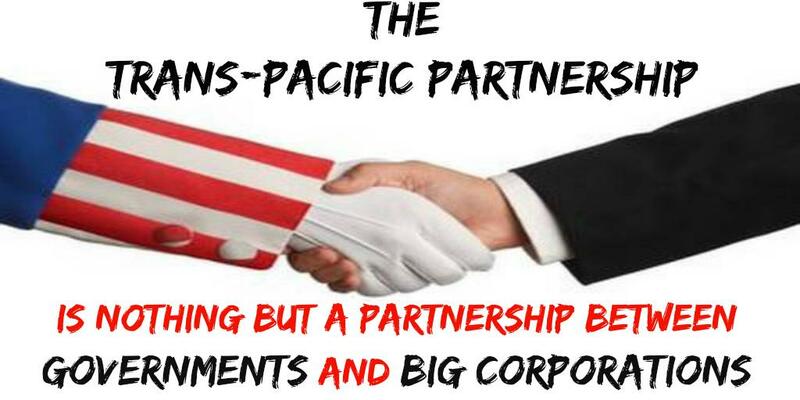 And the TPP backers have a way to pay for $700 million of this useless program. Cut Medicare benefits. The deal is buried deep in the TAA document. Just so you don’t notice it, the changes don’t come until 2024 – a “gift” to the newly retired. Is it bad enough that the workers will lose their jobs, but now we will also steal from the elderly to push through a trade fiasco that will only help investors and corporate hacks? We write to urge you to fund a more robust Trade Adjustment Assistance program that is not offset by cuts to critical social programs like Medicare. American workers rely on Trade Adjustment Assistance when trade deals send jobs overseas. While it is clear we need Trade Adjustment Assistance, it is not clear why the offset should be extended budget limitations on Medicare, as proposed. More than 50 million seniors rely on Medicare; we should be investing in the trust fund, not using savings to fund other programs. We ask that the current Trade Adjustment Assistance legislation change in two ways. We should find an offset to Trade Adjustment Assistance that does not cut from critical programs that working families rely on. We should also increase funding for Trade Adjustment Assistance to account for projected job losses due to big trade deals, and extend assistance to public sector workers who have lost their jobs. Trade Adjustment Assistance supports displaced workers and Medicare provides America’s seniors the healthcare they need. We look forward to working with you to fund a Trade Adjustment Assistance program that leaves no one behind. Unfortunately, our objections must not only be to unjust trade assistance robbery of Medicare. America’s few remaining progressive leaders must make a rallying call for demonstrations in the streets, an end to campaign contributions for business-adoring politicians, and the promise to never vote for any Democrat or Republican supporting either TPP or TAA. Another example of the Progressive Caucus exposing the inequality in the laws that are crafted by the collusion of business and their subsidized legislators.